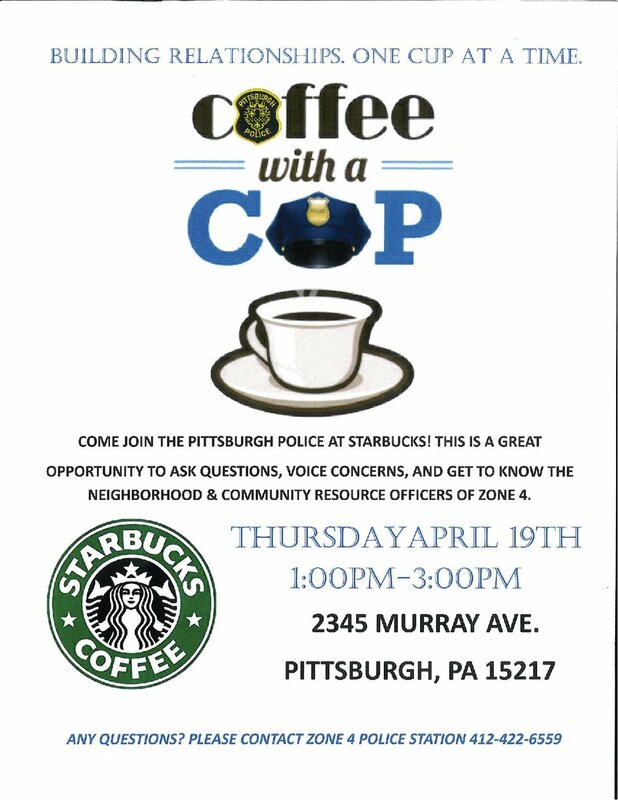 Join the Pittsburgh Police at Starbucks! This is a great opportunity to ask questions, voice concerns, and get to know the neighborhood and community resource officers of Zone 4. Please contact the Zone 4 Police Station at 412.422.6559 for any questions.